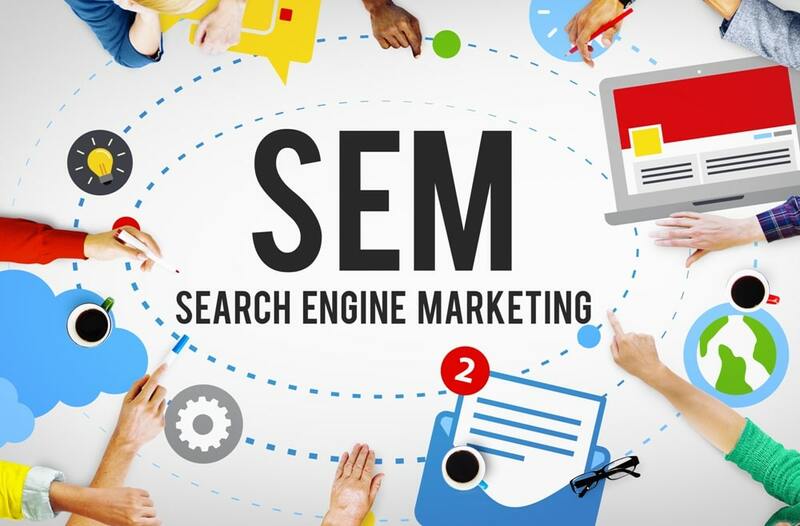 In the simplest terms, Search Engine Marketing, or SEM, is paying to have your business show up when a user performs a search on a search engine like Google or Bing. In its most basic form, SEM is that simple. However, as advertisers work to maximize their budgets, a host of optimization and targeting techniques come into play, and the terminology and options can get a little overwhelming. Over the next several posts, we’re going to take apart the alphabet of acronyms that go along with SEM and help you understand the value of search engine marketing as a way to edge out the competition. How is SEM Different from SEO? Search Engine Optimization (SEO) was once considered to be under the umbrella of Search Engine Marketing. However, as SEO has become more useful and techniques more developed, the two are now typically considered two separate marketing activities. SEO refers to all the things you do to your website, both on and off-page, and other online assets to push up your organic--or unpaid--ranking on a list of results from a search engine with the objective of getting more traffic and better traffic to your website. Once you start paying for traffic to your website, then you’ve moved out of SEO and into SEM. PPC stands for “pay per click,” and it refers to advertising that you typically only pay for when a user clicks on it--there is usually no cost associated with displaying the ad to a viewer. The most common platforms where you’ll find PPC advertising are Google Adwords, Bing Ads, and Yahoo Search Ads. The most common PPC program is Google’s AdWords as Google accounts for more than 77 percent of all search activity on the web. With more than 6 billion searches performed around the world every day, that’s a pretty hefty chunk of the market share. Bing and Yahoo make up the majority of the search traffic that doesn’t go to Google, and both are continually working to stay competitive and offer benefits to advertisers. Keywords are at the heart of any SEM campaign. What are users typing into the search bar when they are trying to solve a problem or find answers to a question? The most obvious and direct keywords in any industry are going to be the most expensive to target while longtail and less common words and phrases will be cheaper, but yield fewer results. The art of SEM is finding the balance between how much you spend and how much traffic you receive. In the next several posts, we will get into more detail on how PPC campaigns work, how to find the right keywords to get the most for your budget, and how to optimize your ads so you not only get more clicks, but clicks from people who are more likely to be solid leads. Stay tuned! SEM helps you get heard above the noise. We’ll show you how.